The adage “you’re only as old as you feel” is a two-sided coin. While the saying might be meant to inspire a healthy outlook, some of the hurdles encountered in life’s autumn years tend to sour the message. 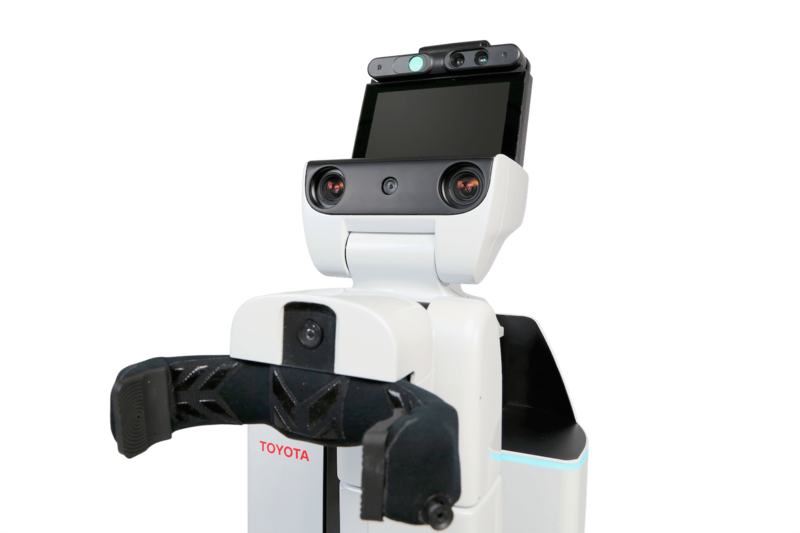 That’s why Toyota has been developing a prototype helper robot that will support the ever-growing need for long-term elderly care that we will experience in the next few decades. The World Health Organization predicts that 22 percent of the world’s population will be over 60 years old by the year 2050. 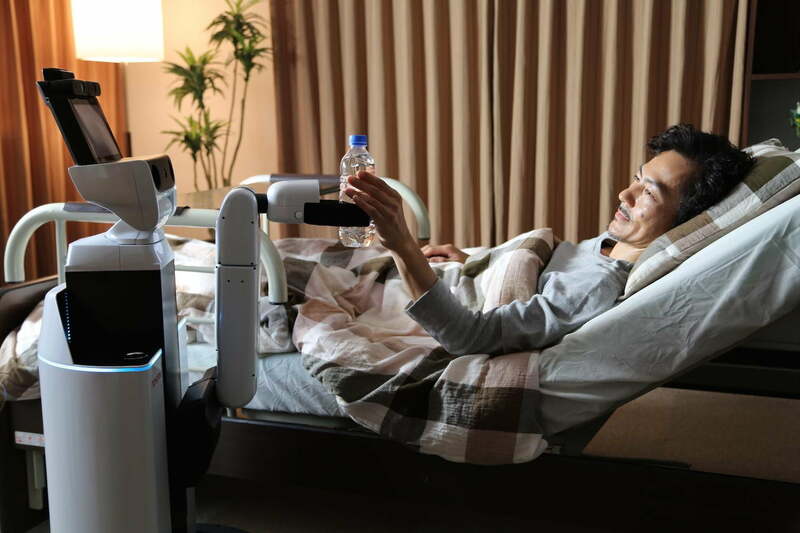 To care for these nouveau elderly, Toyota has developed its Human Support Robot (HSR) prototype, the first step in creating a device capable of providing practical assistance to the elderly in their day-to-day lives. Standing at just over 3 feet tall, the cylindrical HSR can telescope upwards to about 4-and-a-half-feet in height. It rolls on an omnidirectional platform and can perform a number of tasks to assist people with its folding arm and clasping gripper. If having a “clasping gripper” around older folks sounds dubious, no need to run out and sign up for Old Glory Insurance just yet. The helper robot is designed with torque sensors and with compliant control of its joints, meaning they will give way when pushed and will not offer resistance. The HSR isn’t autonomous yet, but instead is operated either locally or remotely using a tablet interface by a care person. Users can see and hear what the robot sees thanks to several front-mounted cameras and a microphone array. A color display and speakers allows anyone in the care of the helper robot to see and communicate with the operator. When not remotely controlled, the HSR can “fetch” certain recognized objects. Toyota plans to hold a “hackathon” at its Tokyo-based Mega Web showroom from August 31st to September 2nd. Eight teams will compete to develop an innovative application for the HSR, with the prize being a free development kit. Jumpstarting this sort of innovation now will hopefully mean more articulate, capable, and even autonomous robotic devices in our service in the coming decades.